I won’t lie.. potty training is tough! I still remember when we potty trained my first daughter. I had just had my second baby and I didn’t have the time or energy to commit to being consistent. Having gone through this before, there are definitely some differences in our kids, not to mention birth order, so this time around we are focusing on getting excited about being a big kid! Since we have potty trained before, here are some tips we have learned. This can be tough – again, when I had a new baby, literally running to the bathroom every time my toddler had to go was just not possible. Or in the summer, we would go to an amusement park, and getting to a bathroom in a timely manner was tough! You may want to consider the timing of potty training and try to be aware that setbacks are usually part of the process. Get your little ones excited about potty training by planning together! Have your child join you on a shopping trip for potty training supplies like Pull Ups. The super cute Sophia The First Pull-ups have lots of great features, like a design that fades when it gets wet and sides that open and close just in case you need. There are lots of designs for both boys and girls, so have your little ones join you shopping so they can pick out their favorite design. My kids always responded well to rewards. And every kid is different so rewards are different. Take the “What’s My Child’s Potty Personality” Test to match with the best potty training tools. My first actually loved cheese so much that she would get a piece of cheese every time she went potty! Now we are offering chocolate chips or other non-food rewards. I love this little reward chart because it isn’t just for going potty – it is everything else that is part of potty training, like flushing and washing hands. (Another part of Pull-Ups that I love is that the back says “BACK” to help your little one know how to get their Pull-Ups on properly). Huggies makes it easy for parents and kids with lots of potty-training tools, from this chart to games to other tools. It definitely makes things easier when you have a potty-training tool-kit on hand! Potty training can be stressful – just try your best not to let it be stressful! All kids are different, whether it is age, personality, birth order, etc. You don’t want potty training to become a source of stress or disappointment for your child. And look for deals on Pull-Ups. You’ll be less stressed about spending money on them if you know you are getting a good deal! Dollar General has lots of great coupons on name brand products like Pull-Ups. So not only do they have great prices, but you can score some great coupons. Save $2.00 now (until 5/19/16) on Pull-Ups® Training Pants at Dollar General with DG Digital Coupons! Getting your coupons for Dollar General is very easy! 1. Sign up here https://ooh.li/4964925 or Text JOIN to 34898 to begin saving today! 3. Visit your local Dollar General to redeem coupons at checkout. 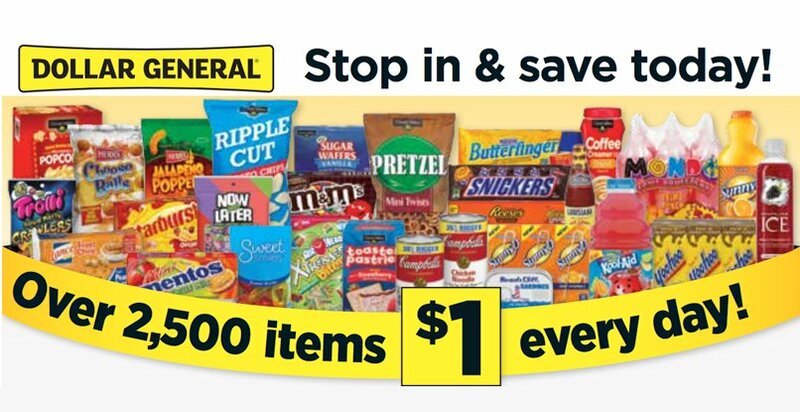 Look to their store locator to find your nearest Dollar General!